Ours is a world filled with inequality. But it doesn’t have to be. There’s proof the world over that education is key to leveling the playing field. What difference can engineers make in the global education story? 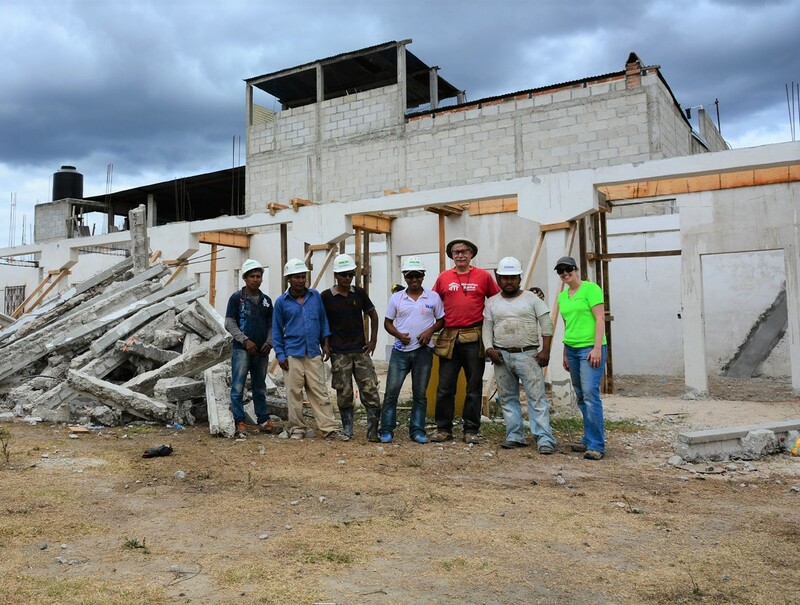 In Engineers Without Borders USA’s work in more than 45 countries, a primary role for our volunteer engineers’ technical expertise is designing safe structures, such as schools, and connecting them to the infrastructure they need to be reliable spaces for communities to gather. 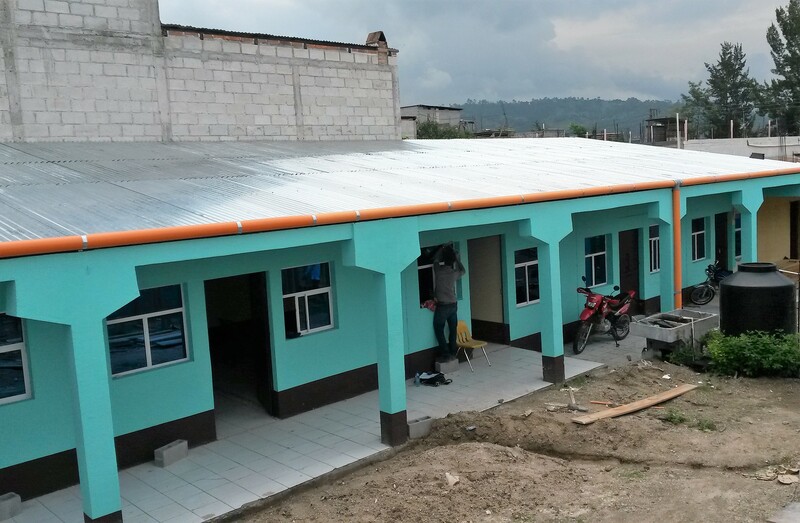 In the 120,000-person municipality of Joyabaj, Guatemala, we recently completed construction on a new high school that is so much more than a space to gather — it’s where learning fuels the ideas and opportunities that could lift whole communities out of the cycle of poverty. Guatemala’s education story is one of low enrollment and low literacy rates. More than two million youth between the ages of 15 and 24 currently find themselves without basic life or vocational skills to enter the workforce. Consider what that statistic means for a country where more than half the population lives below the poverty line. Guatemala truly cannot afford to have an entire generation that is not equipped to help it reach its long-term, sustainable development goals. Guatemala’s growth depends on changing the substandard educational landscape that exists for children and youth. Primary school is free and compulsory in Guatemala, but less than forty percent of children go on to enroll in middle school because of limited access to quality education and the inability to afford uniforms, books, supplies and transportation. That number plummets even further for high school enrollment, which mostly exist as private institutions. EWB-USA is helping change this education story and build brighter futures for the children of Joyabaj. The first step down that path: increasing access to education by constructing the area’s first public high school. For the residents of Joyabaj, going to high school is viewed as a luxury. When EWB-USA began construction on the Instituto Basico Florencio Carrascoza in February 2017, students that lived in this municipality and aspired to attend high school had three options. The first was to attend a public high school program housed in a local elementary school — a space with limited availability and equipped for children half the size of high schoolers. The second option was to pay for private school — a choice financially out of reach for the majority of the municipality. And finally, some students opted to live with relatives a few hours away and attend that city’s public high school. Joyabaj’s communities recognized that a dedicated space for secondary education would be a game-changer for increasing interest in a high school education and bringing quality educators in to teach those students. The community identified an unused site behind the elementary school that could be converted for this purpose. It held a vacant courtyard house with a rectangular yard and a long row of rooms. Once the site was purchased, the municipality partnered with EWB-USA to explore the engineering expertise needed to make this vision a reality. Building in Joyabaj is not your average construction story; the entire area is a seismic zone. On February 4, 1976, the town was almost destroyed by an earthquake, with hundreds of lives lost and most buildings damaged beyond repair. EWB-USA’s Guatemala office staff’s deep knowledge of previous structural projects in the region and the risks and limitations of building in this environment was crucial in planning a structure that would be high-quality and resilient if disaster struck again. 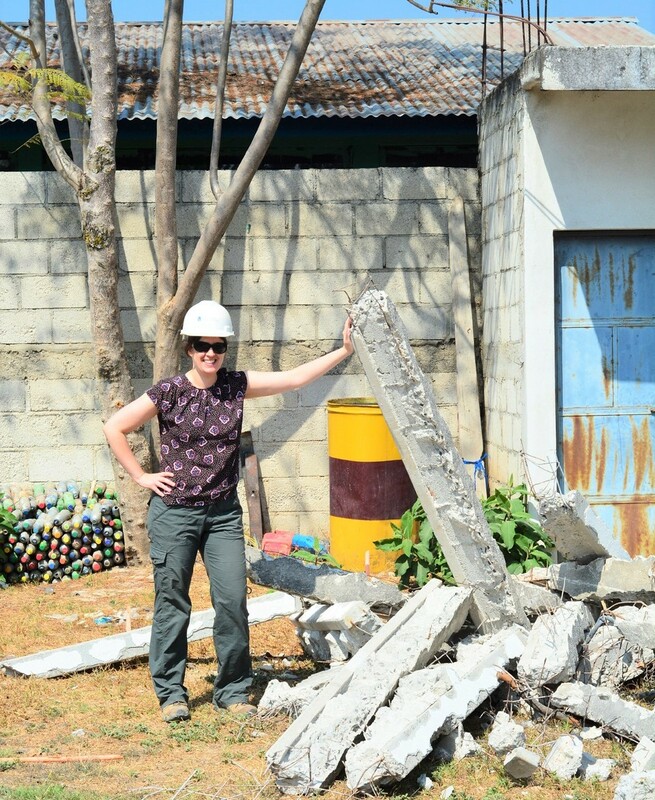 The office deployed EWB-USA Fellow Kerry Drake to oversee the construction of the high school. During her six months onsite, she utilized her architecture background and structural engineering experience to direct the project schedule and source materials. Drake also was the key connection in the field for the project’s many project stakeholders, which included the community, local laborers, the municipal government, and the EWB-USA Wisconsin Professional Chapter, who designed the project and provided technical expertise throughout construction. The build was extensive, from the demolition and renovation of the current building to the new construction of three classrooms. Throughout the build, the biggest challenge was quality control. Drake relied heavily on a local advocate to convince the crew why they should invest time and money in extra steel and additional ties for structural integrity. The lead mason hired by the municipality, Luis, was that person. Luis was skilled in concrete and block construction, but unfamiliar with the techniques and standards EWB-USA required for a structure to withstand an earthquake. He was not only willing but eager to learn, says Drake, and that was essential for maintaining quality standards while keeping the project on schedule. 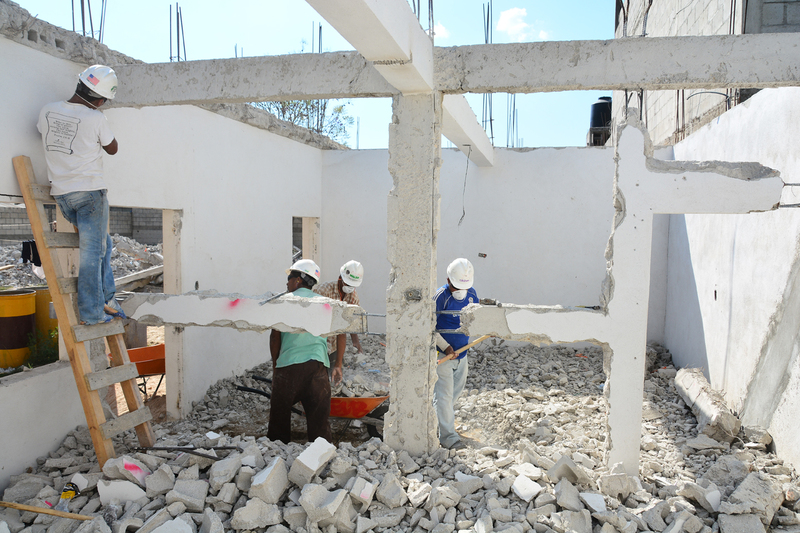 Construction of El Instituto, as the high school has come to be known, is complete. Drake says among the greatest accomplishments was training local builders on seismic-resilient construction practices, and the life-saving opportunities that exist if the practices are shared throughout the municipality and beyond. She sees a lot of promise, too, in the possibilities this building holds for access to quality education. In January of this year, the municipality celebrated the inauguration of the new building. El Instituto is already so much more than a high school. 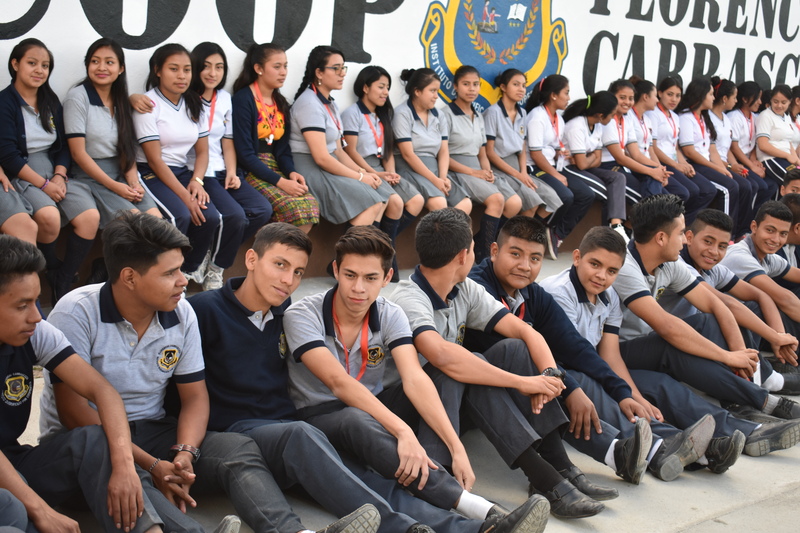 As the first dedicated space for secondary education, it heightened the level of academics available in the region — and opened the door to go even higher. In the evenings, the space serves as a branch of Guatemala’s Public University. One hundred and fifty residents of Joyabaj are now accessing a free college-level education for the first time. There’s bound to be many more firsts for Joyabaj as unprecedented access to education empowers future leaders to emerge from El Instituto.